Then Bernadette disappears. It began when Bee aced her report card and claimed her promised reward: a family trip to Antarctica. 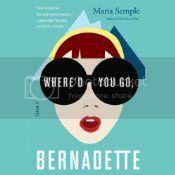 But Bernadette’s intensifying allergy to Seattle – and people in general – has made her so agoraphobic that a virtual assistant in India now runs her most basic errands. A trip to the end of the earth is problematic. To find her mother, Bee compiles email messages, official documents, secret correspondence – creating a compulsively readable and touching novel about misplaced genius and a mother and daughter’s role in an absurd world. Where’d You Go, Bernadette? is charmingly told, the story of a young girl and her missing mother. 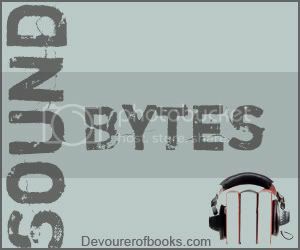 There is a series of improbable events that seem like they should be ridiculous, but which instead become a lovely story that will captivate readers. I may be the only one who feels this way, but I don’t totally love Kathleen Wilhoite as a narrator. She is talented and does pull off the voice of a young girl well, but – in a totally nitpicky way – I find her voice almost TOO little girl-like here, and it sorts of grates on my nerves. This is a totally subjective thing, objectively she’s good, but there’s just some quality in her voice that doesn’t thrill me. A good production and a wonderful book, but I didn’t love the audio as much as some others do. For more information on this book, check out the publisher’s page. I thought this was a fun, quirky book. I read the print version though. Count me as one of those who loved Wilhoite’s narration – when she sang it gave me goosebumps. I read this and adored it So funny and smart. Hmmm. Now I don’t know what to do, read the book or listen to the audio! Baby talk grates on me, so I’ll have to see! So funny that you reviewed this one today. I’ve been pondering this one for awhile. I liked the story, but I agree with you about the narration. It wasn’t my favorite. I was a little too quick hitting enter. Oops! I was thinking about posting my review today but haven’t gotten around to finishing it. Hence the funny. Yeah I just reviewed this novel over at http://www.thecuecard.com/ . I too found it quirky and engaging.